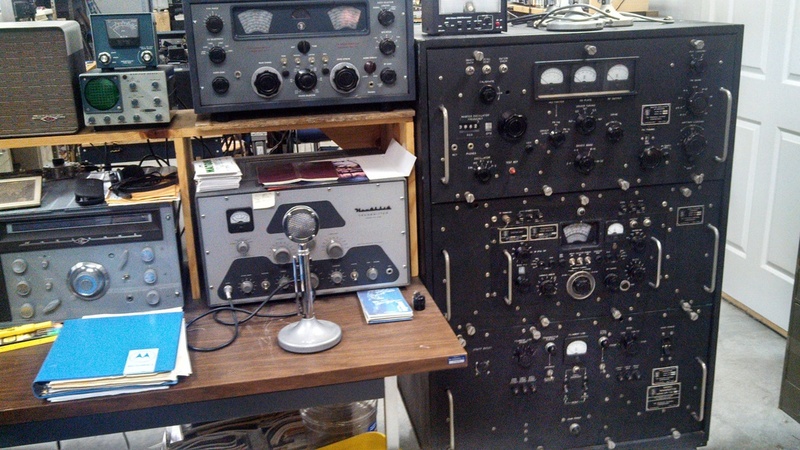 Below is my second AM/CW operating position. The DX-100B and NC-300 are paired up for use on AM. This is my primary AM station that I use the most. I just finished going through both of these radios, and I get great reports on the air. The most recent additions are the TMC GPR-90 and GPT-750 transmitter. The HQ-170 has a little bit to narrow of IF bandwidth for good AM, but it is a great old CW receiver. 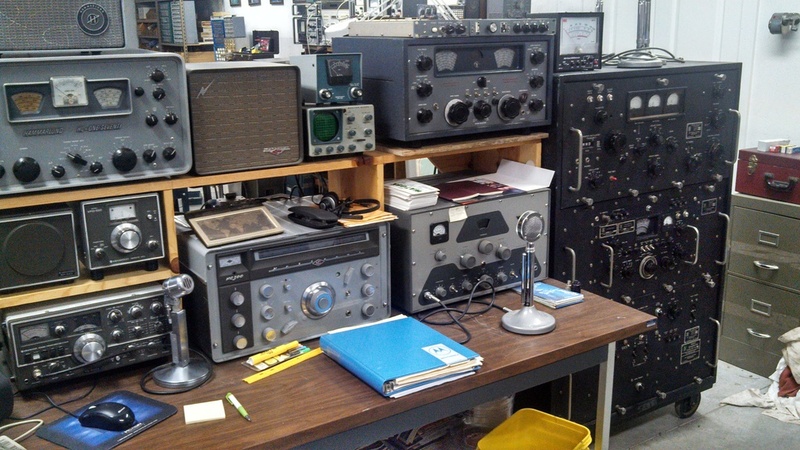 I am intending to pick up another Heathkit HD-1410 keyer to use with the DX-100 on CW, paired up with the HQ-170 for receive. I have yet to go through the TMC GPR-90 and GPT-750 although both are in original condition and no mods. Just need the time and ambition to get it done.